Why does the Infinite Jukebox only work in Chrome and Safari? 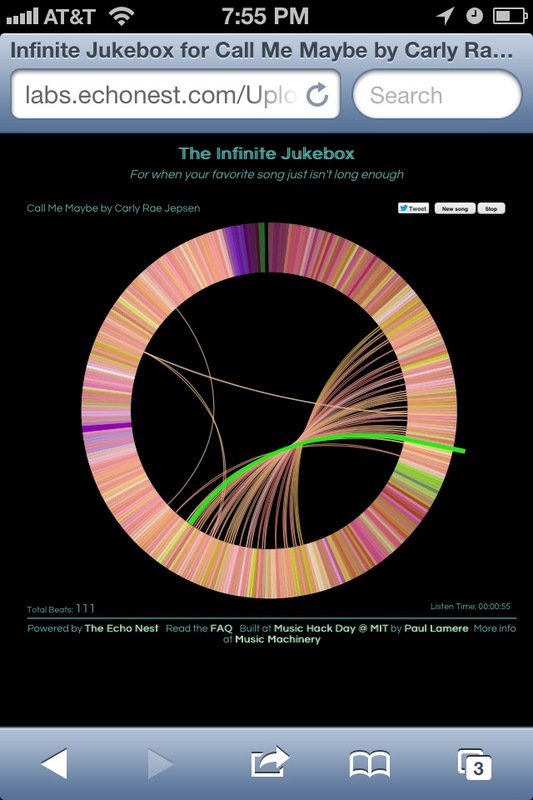 The most common complaint I’ve heard about the Infinite Jukebox is that it doesn’t work in Firefox or Internet Explorer. I’ve been accused of either being part of some vast conspiracy to infect everyone’s computer with the Chrome virus or being a lazy programmer that couldn’t go the extra mile and deal with the usual cross-browser differences. As the following chart shows, only Webkit-based browsers like Safari and Chrome support the Web Audio API. The good news is that Mozilla has announced that they will support the Web Audio API in an upcoming version of Firefox. It is on their roadmap, but it no date has been given. Even when they do though, there still is the problem that Firefox does not support the playing of MP3 audio. As for IE, Microsoft hasn’t announced any plans to support Web Audio. So no vast conspiracy, it’s just that the Infinite Jukebox needs an advanced browser feature that is only supported in 2 of the 4 major browsers. Perhaps in a year, Firefox and IE will have caught up. Until then, you’ll need to download Chrome or if you are on a Mac, fire up Safari to play an infinite version of your favorite song. The Web Audio API is an extremely powerful API and I suspect will be a big part of music on the web for the next decade. If you write music apps, you should pay attention to it. Some good places to start are: HTML5 Audio and the multimedia section of HTML5 Rocks. This entry was posted on November 22, 2012, 10:10 am and is filed under Music. You can follow any responses to this entry through RSS 2.0. Both comments and pings are currently closed. Alas, it crashes Safari on my even older iPhone 3gs. Yep, it’s running IOS 6. Afraid it’s going to be awhile before I get a new phone though. Thanks for the shout-out, Paul!